This non-dairy treat can be whipped up in a high-speed blender. 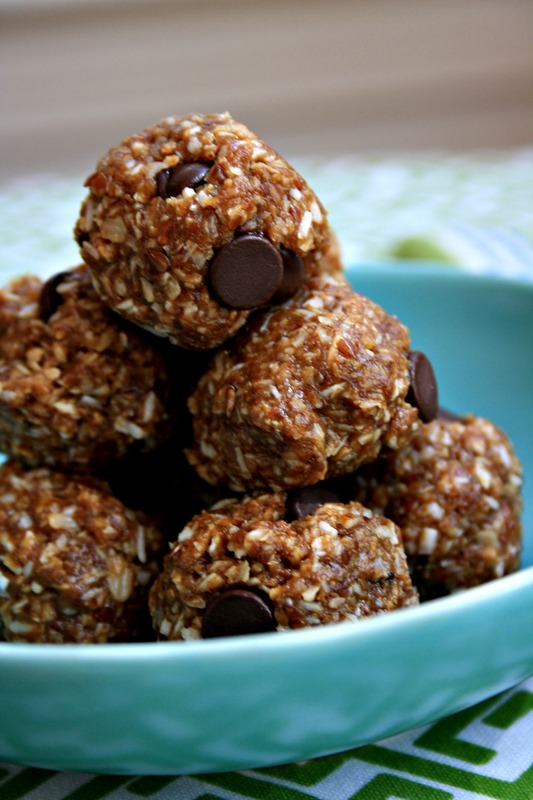 Made with raw cashews and non-dairy milk it’s filling & nutritious. On chilly winter days a hot drink can feel like a hug. There is something extra comforting about a hot drink with substance, a drink that’s thick and warming but a little nourishing too. 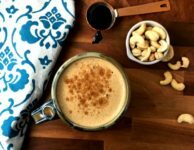 That’s what I love about this cashew coffee recipe. The cashews help to make this drink extra creamy, they provide a lot of nutrition and they make the drink filling so it can tide you over. 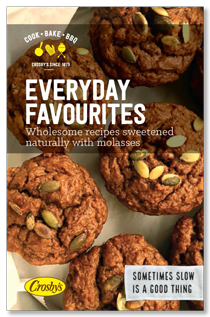 As well, the flavours of strong coffee and molasses are perfect together. And molasses adds just the right amount of sweet. 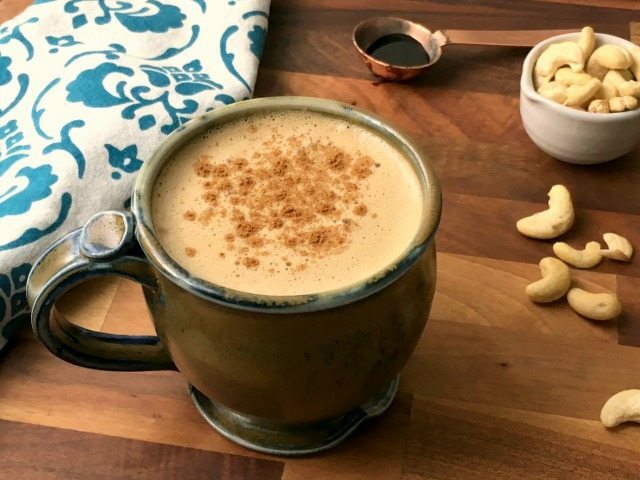 If you’d like a calorie-reduced version of cashew coffee, use just two tablespoons of cashews (instead of the 1/4 cup called for) and choose a lower fat milk. It won’t be as thick and creamy but it will still be satisfying. Tip: If you soak your cashews overnight they’ll blend in more easily.  Also, this recipe works best using a high-powered blender. I have made it using a standard blender but only half of the cashews blended into the milk. 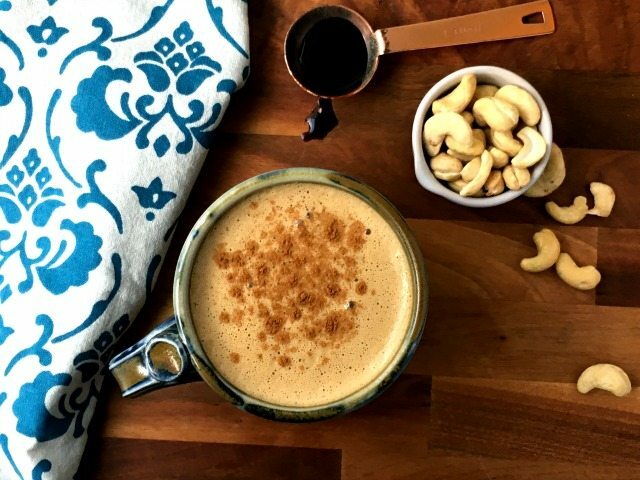 Cashew coffee with molasses was inspired by a recipe on the wonderful blog Pinch of Yum. Place cashews, molasses and coffee in a high-speed blender. Beginning on low speed, whirr until smooth. Add hot milk and whirr again. Pour into a cup and sprinkle over cinnamon.